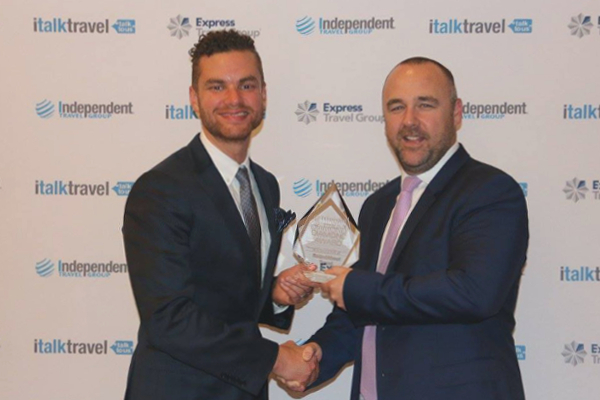 We are very excited to announce that Flat Beds, as a part of the RoundAbout Travel group has been awarded 2017 National Travel Agent Of The Year at the Independent Travel Group national conference in Kuala Lumpur. Launched earlier this year, Flat Beds is a part of the RoundAbout Travel group, started by Mark and Amy Trim in 2008. Flat Beds Director Mark Trim accepting the Diamond Award in recognition of excellence. Contact Flat Beds to book your business class airfares.